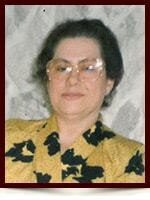 Maria Dos Anjos Vale - Edmonton's Burial & Cremation Professionals | Trinity Funeral Home Ltd.
On December 21, 2014 Mrs. Maria Vale of Edmonton passed away peacefully at the age of 81 years. Left to cherish her memory is her loving daughter Angie (Jose); two grandchildren: Brian (Jen) and Joseph; her sister Maria Do Carmo, her sister-in-law Maria da Luz as well as numerous nieces, nephews and many dear friends. She was predeceased by her husband Antonio in 1999 and her brother Artur. Angie e familiares meus sentimentos e prececes pelo eterno descanço de sua ente-querida. Para vocês, DEUS vos fortaleça na Fé, na certeza do reencontro final.